Pesto is my secret weapon in the kitchen. 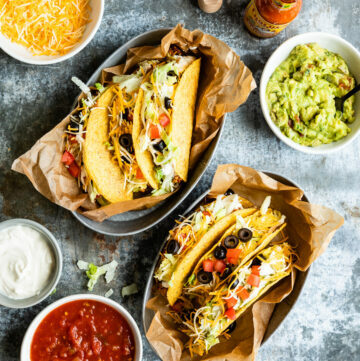 When I make it, I usually wing it with whatever I have on hand in the pantry and fridge. Got a bag of hemp seeds that’s expiring soon? 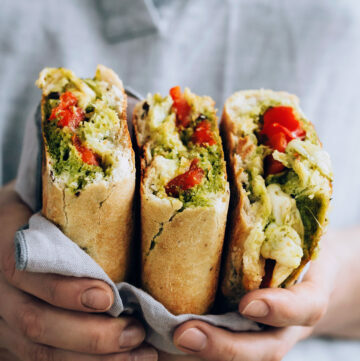 Whip up some hemp seed pesto! A bag of spinach from the CSA is more than you can eat? Green Goddess Pesto for days! 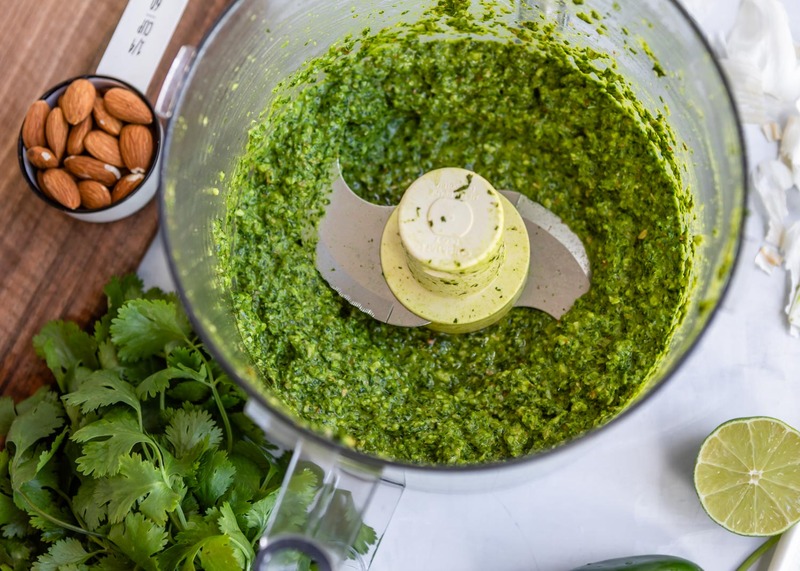 This Jalapeño Cilantro Pesto was the result of one of those throw-what-I-have-in-the-food-processor experiments, but it’s so good that it’s become a frequent accompaniment to many of our meals. 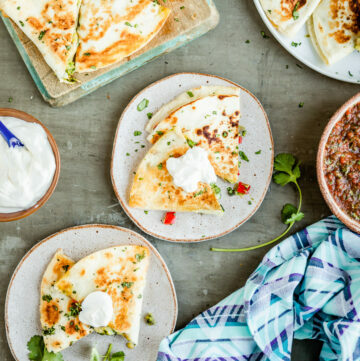 We love it on quesadillas, spread on a toasted bun for an epic veggie burger, swirled into grits for a weekend breakfast… but like any other pesto, it’s especially suited for tossing with pasta. 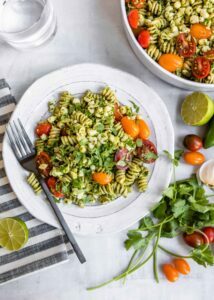 Rotini is one of my favorite pasta varieties for pairing with pesto because the spirals are perfect for holding onto the sauce. Since my M.O. 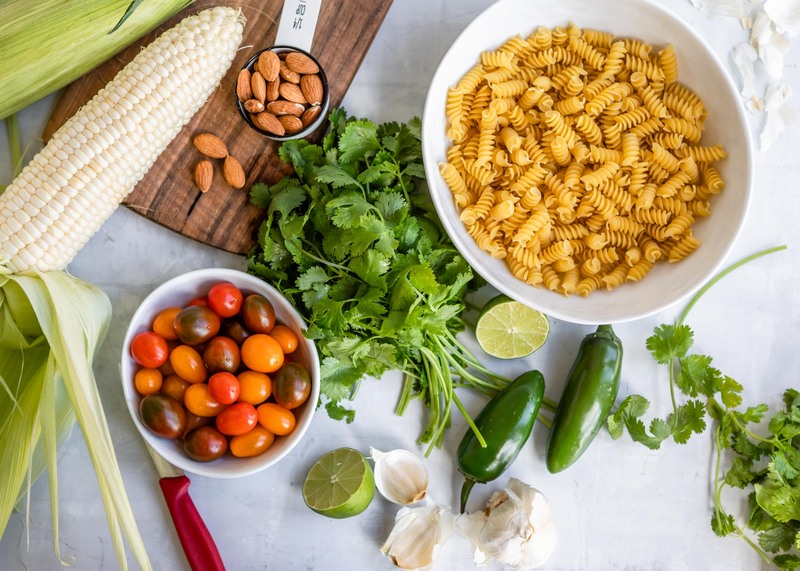 for summer is to include as many fresh fruits and vegetables into every meal as I possibly can, I added heirloom grape tomatoes and kernels of sweet corn–my personal favorite when it comes to summer produce. 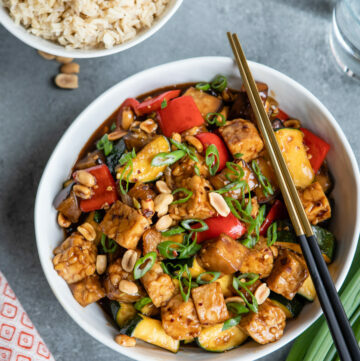 Zucchini and yellow squash make awesome additions as well, or if you like things on the spicy side, try adding slices of jalapeño to the mix. 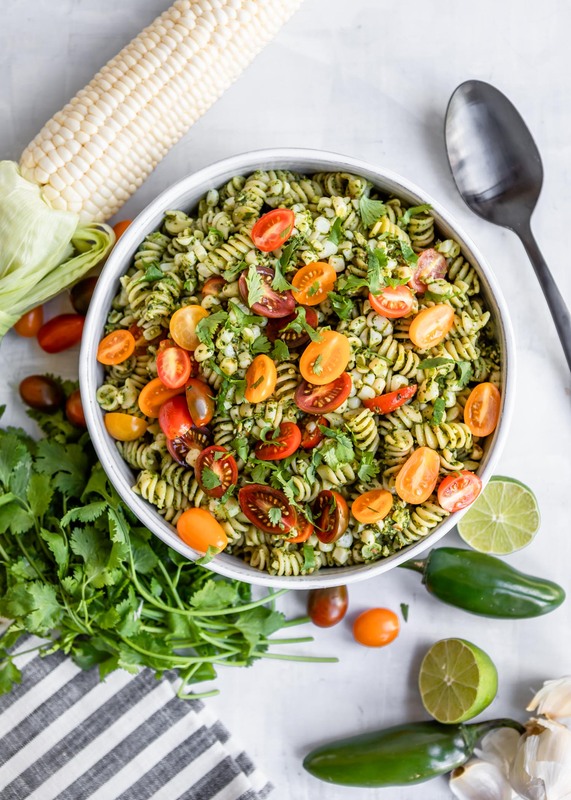 This recipe works both as a warm dinner or as a chilled pasta salad–it’s great for bringing to a cookout or for lunches. Serve this summery pasta dish warm or chilled - it tastes great either way! Combine all of the pesto ingredients except salt in the smallest bowl of a food processor. Process until smooth, then season to taste with salt. Set aside. Bring a large pot of water to a boil. Add the corn and cook for 2 minutes. Use tongs to remove the corn from the pot and rinse it under cold water until it's cool enough to touch. Set aside. Cook the rotini to al dente in the pot of boiling water according to the package instructions. While the rotini is cooking, use a sharp chef's knife or corn zipper to remove the corn kernels from the cob. Reserve 1/4 cup of cooking liquid from the pasta, then drain the rotini and return it to the pot. 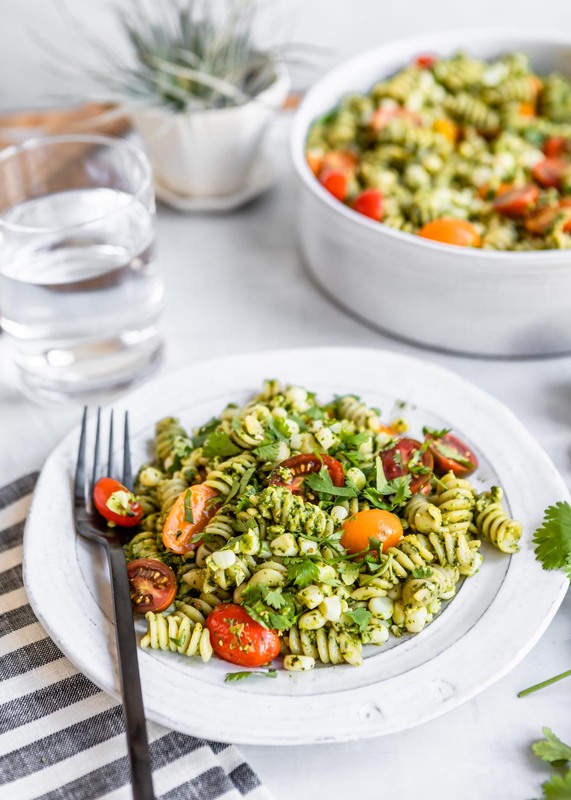 Add the pesto to the rotini and stir to coat, adding cooking liquid a tablespoon at a time to thin out the pesto so it can be evenly distributed. Gently toss the pasta with the corn kernels and tomatoes. Season with additional salt, if needed. 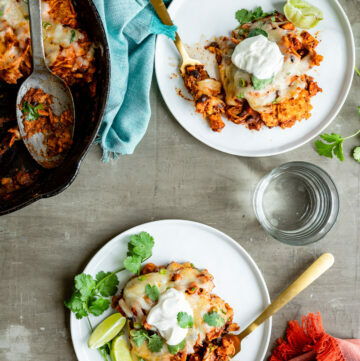 To add more protein to this meal, swap in a bean-flour based rotini (like Banza), top the dish with crumbled queso fresco, or toss it with meatless chorizo.